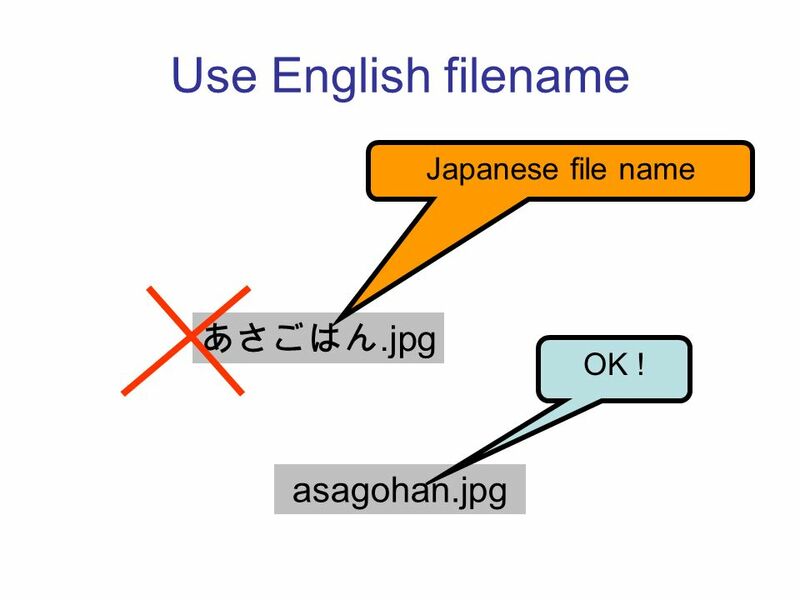 5 Single byte ( ) only! 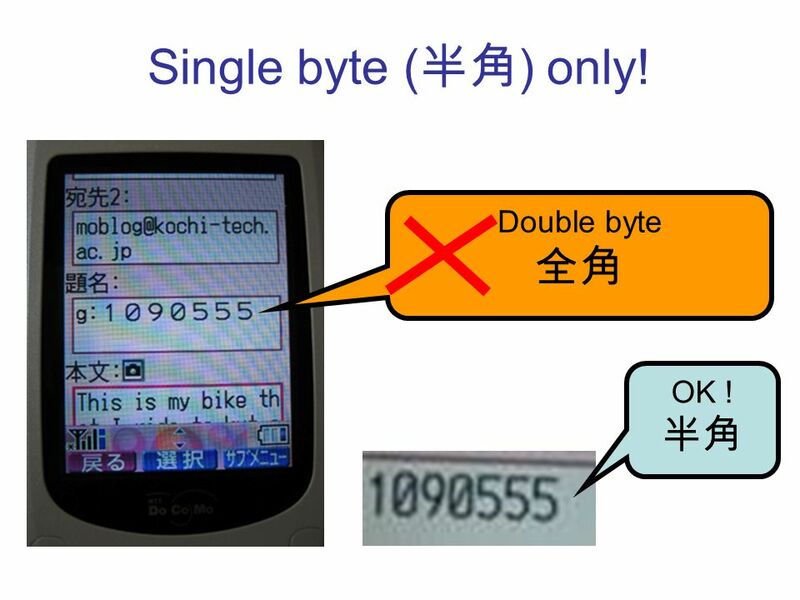 Double byte OK ! 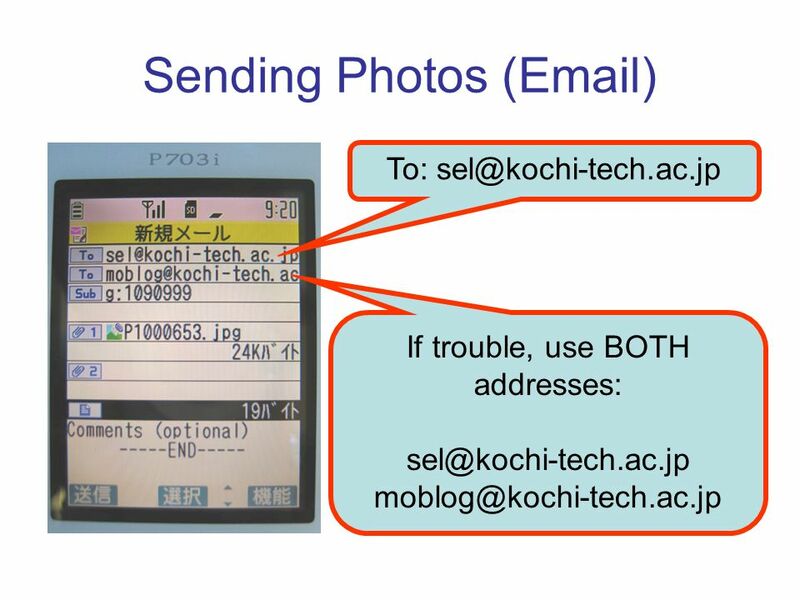 6 Use English filename.jpg Japanese file name asagohan.jpg OK ! 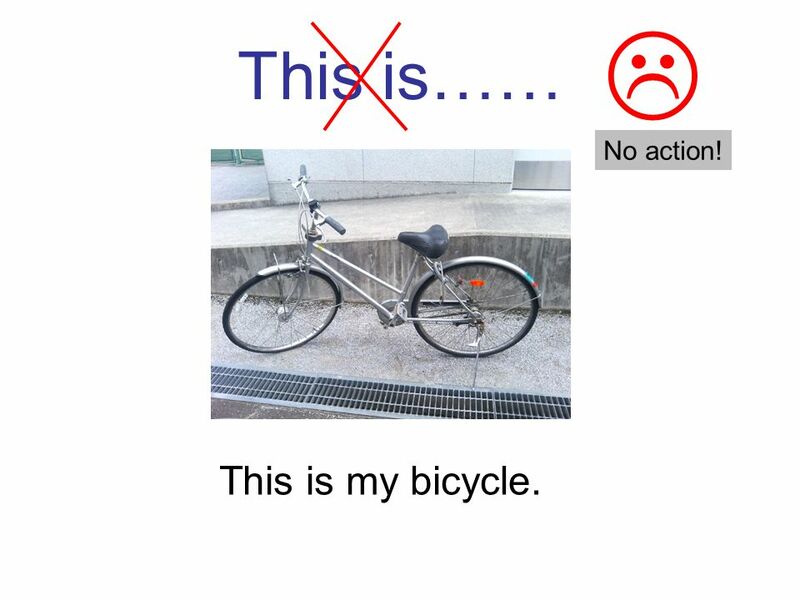 9 This is…… This is my bicycle. 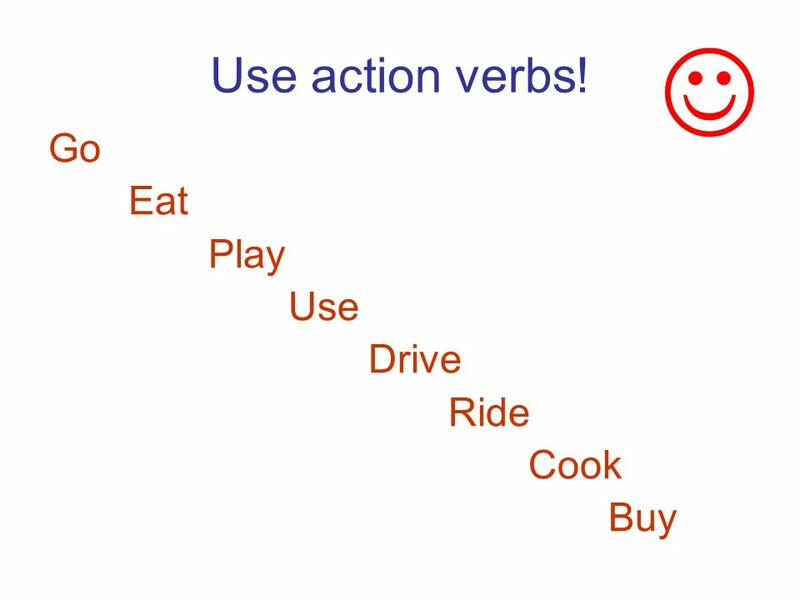 No action! 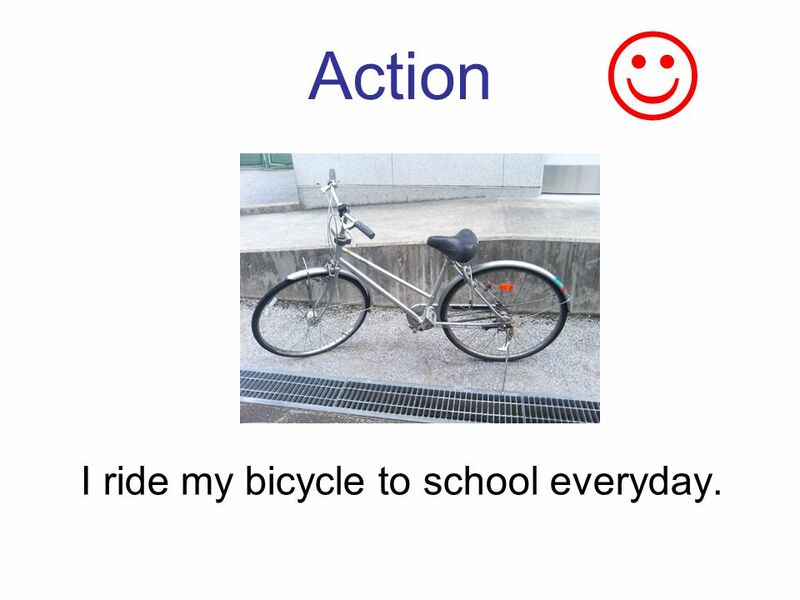 10 Action I ride my bicycle to school everyday. 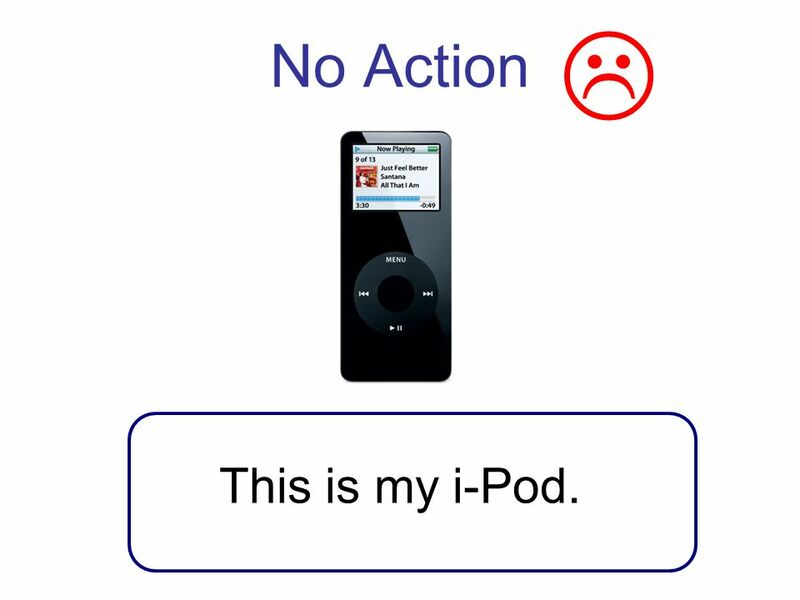 11 No Action This is my i-Pod. 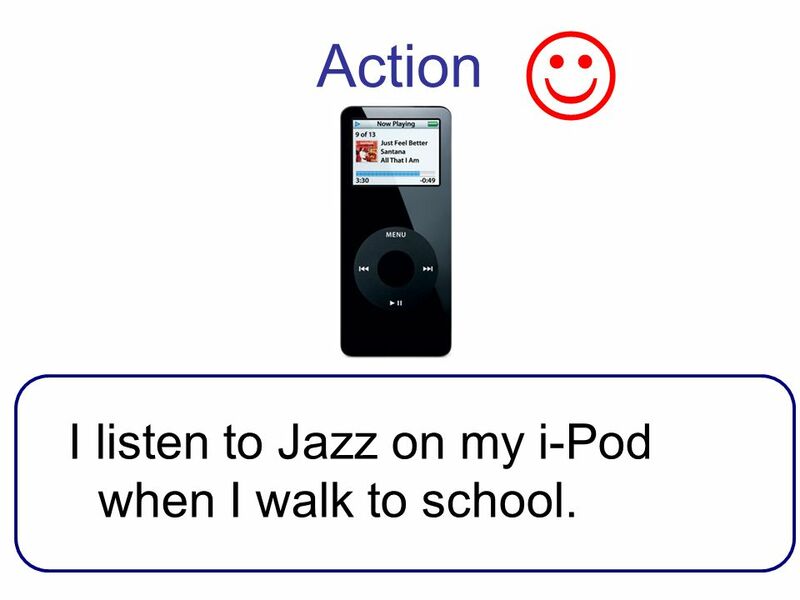 12 Action I listen to Jazz on my i-Pod when I walk to school. 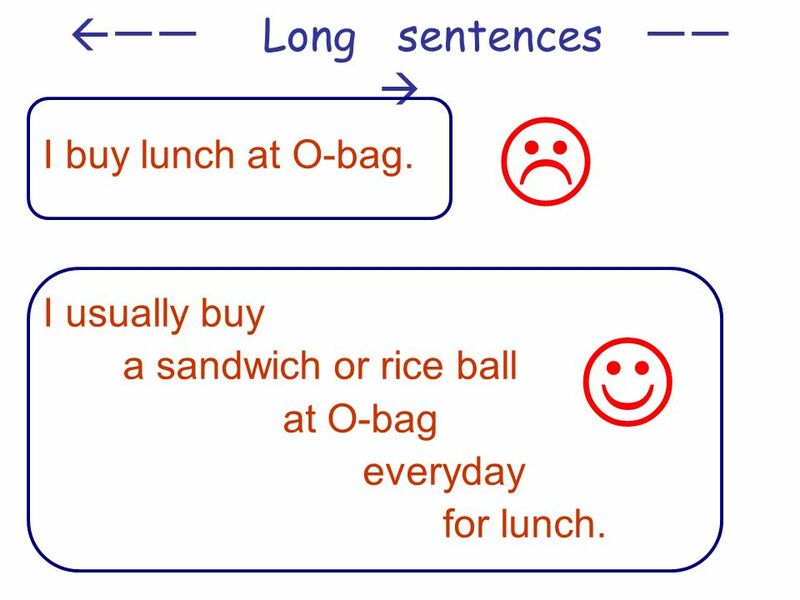 14 Long sentences I buy lunch at O-bag. 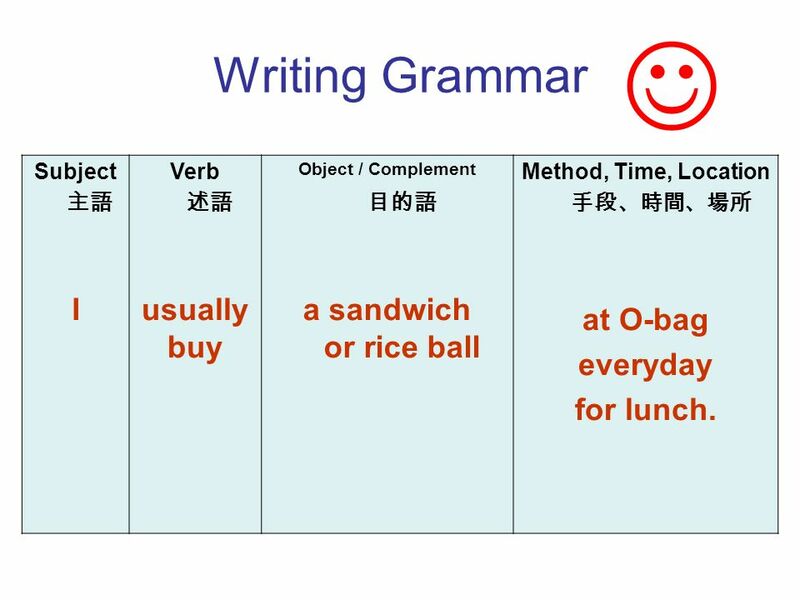 I usually buy a sandwich or rice ball at O-bag everyday for lunch. 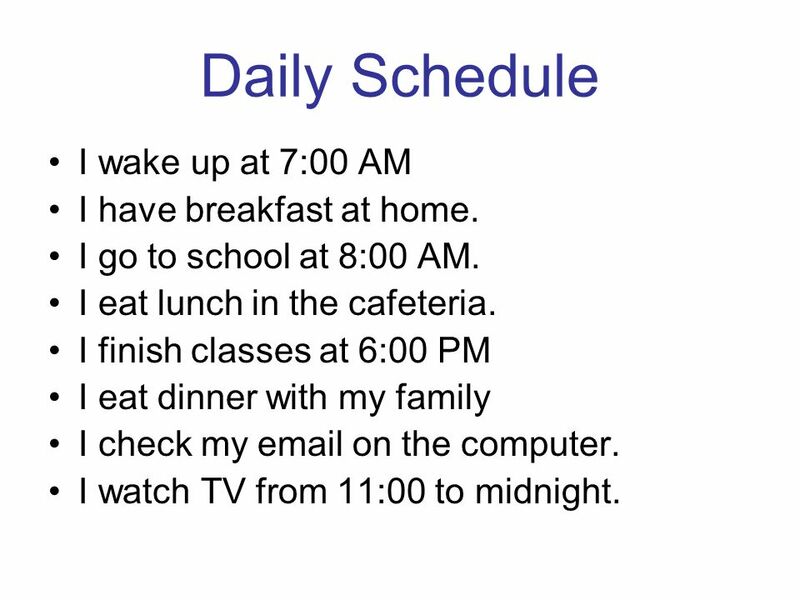 15 Daily Schedule I wake up at 7:00 AM I have breakfast at home. I go to school at 8:00 AM. I eat lunch in the cafeteria. I finish classes at 6:00 PM I eat dinner with my family I check my email on the computer. I watch TV from 11:00 to midnight. 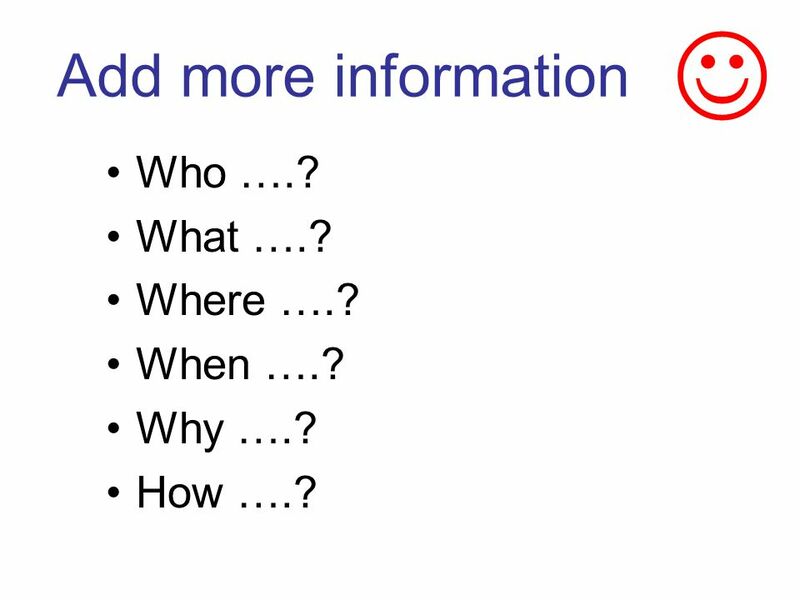 16 Add more information Who ….? What ….? Where ….? When ….? Why ….? How ….? 17 I go to school at 8:00 AM. Where do you commute from? How do you go? How long does it take? 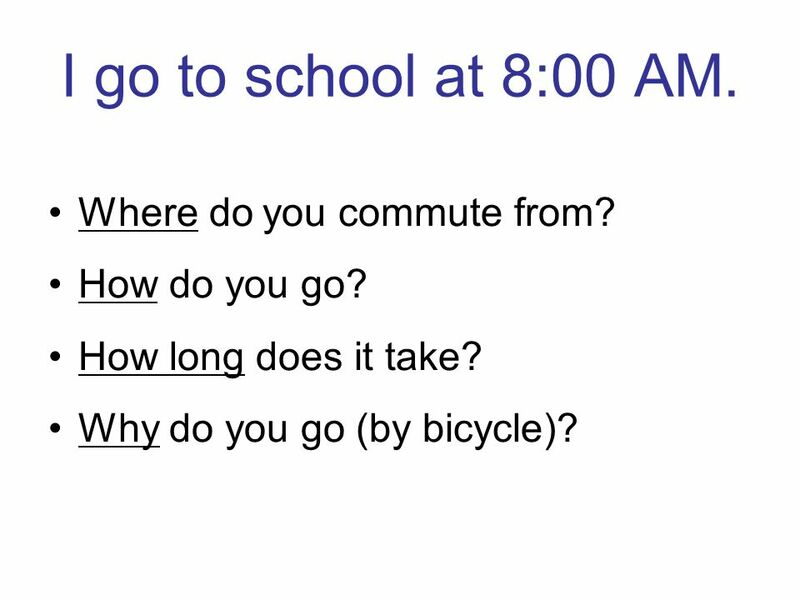 Why do you go (by bicycle)? 18 Where do you commute from? 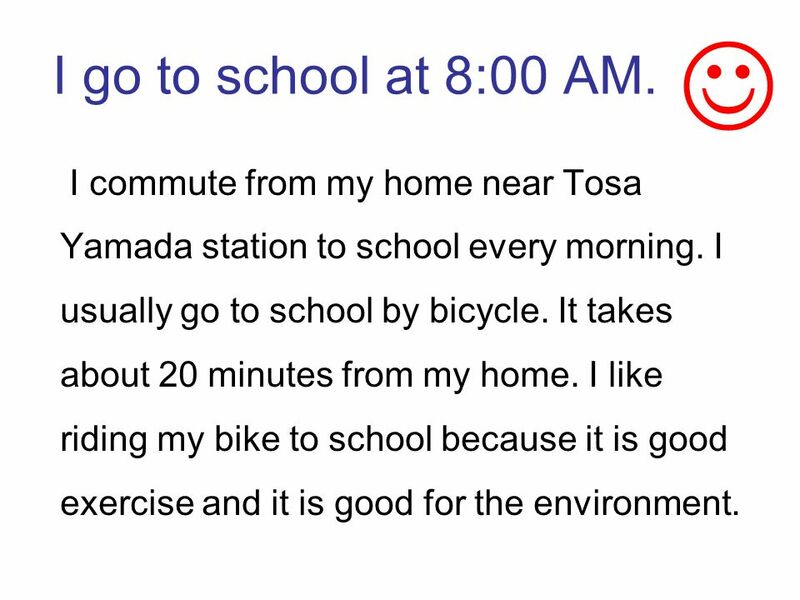 I commute from my home near Tosa Yamada station to school every morning. 19 How do you go? 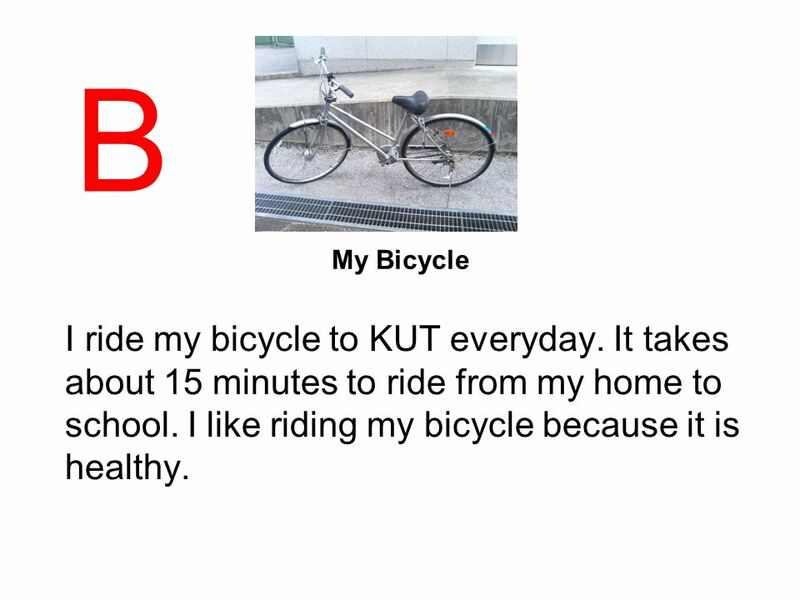 I usually go to school by bicycle. 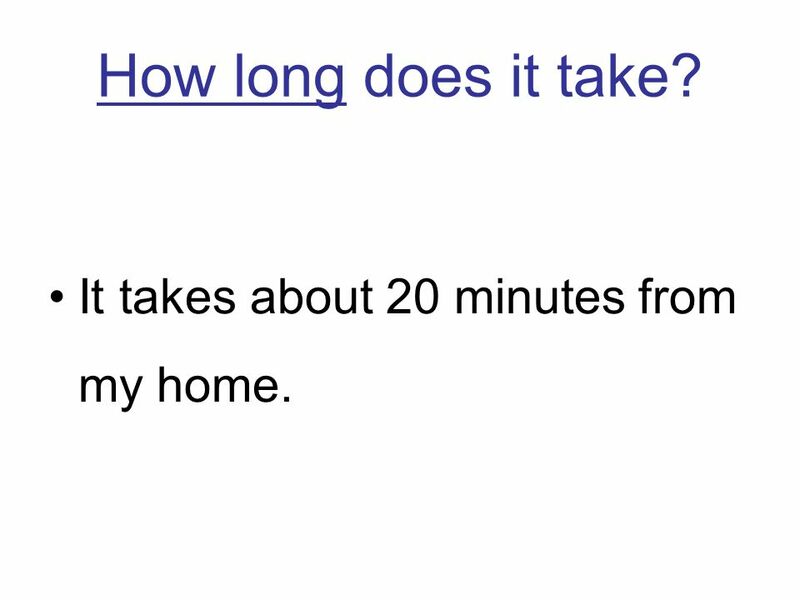 20 How long does it take? It takes about 20 minutes from my home. 21 Why do you go by bicycle? 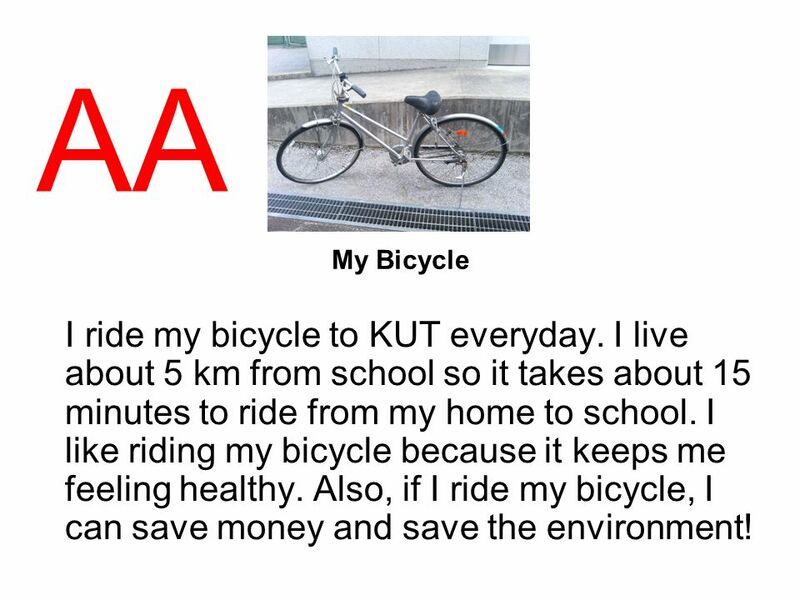 I like riding my bike to school because it is good exercise and it is good for the environment. 22 I go to school at 8:00 AM. 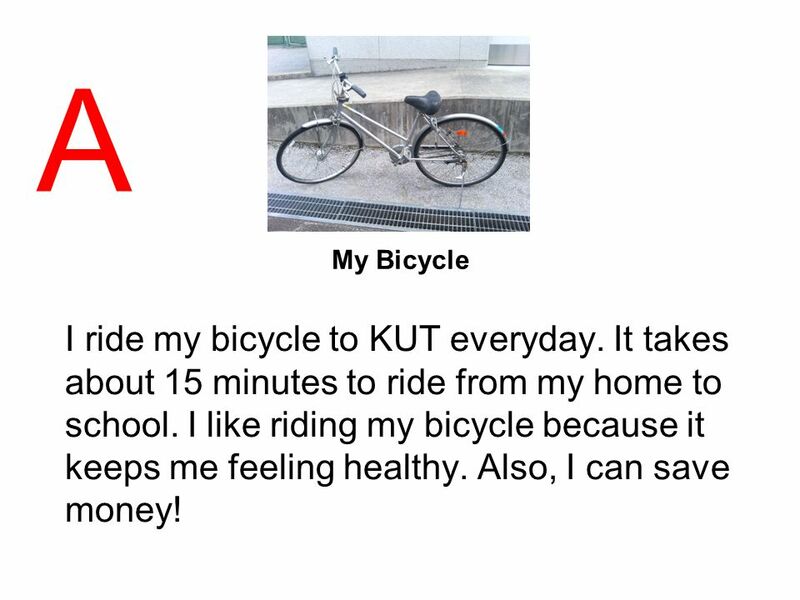 I commute from my home near Tosa Yamada station to school every morning. 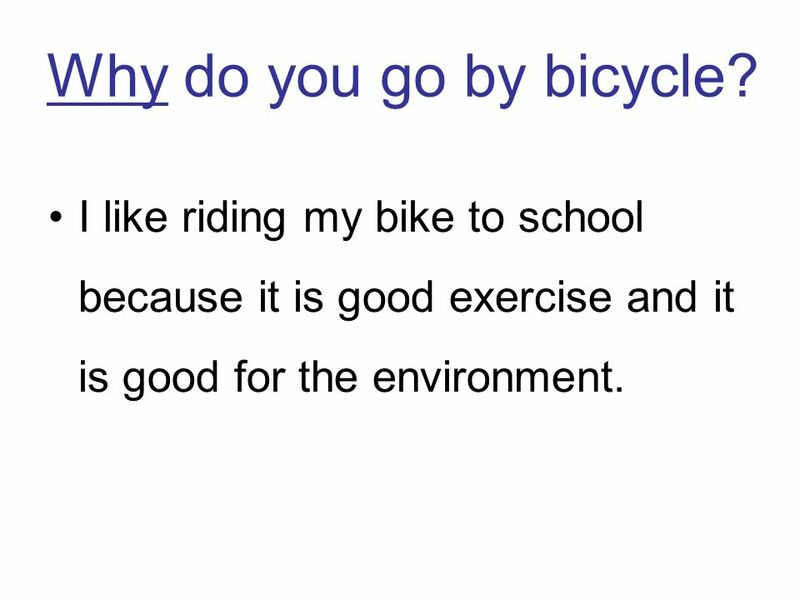 I usually go to school by bicycle. It takes about 20 minutes from my home. 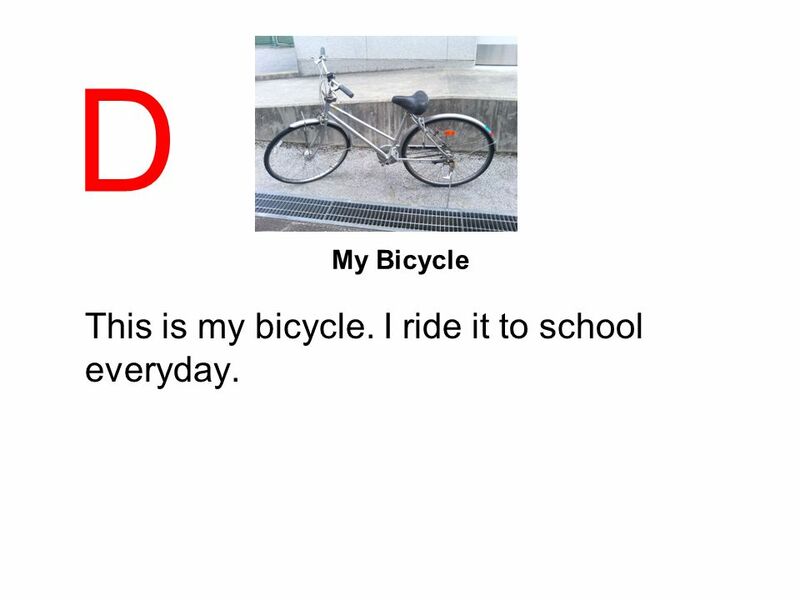 I like riding my bike to school because it is good exercise and it is good for the environment. 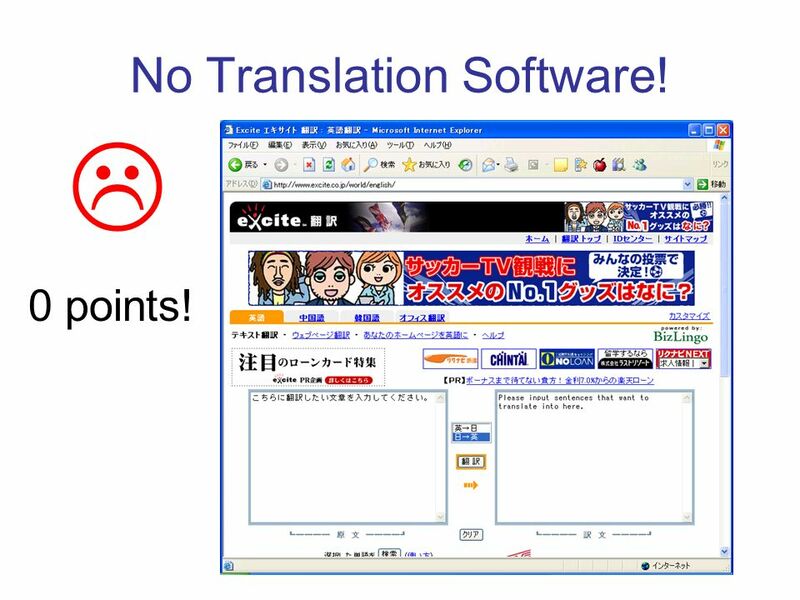 23 No Translation Software! 0 points! 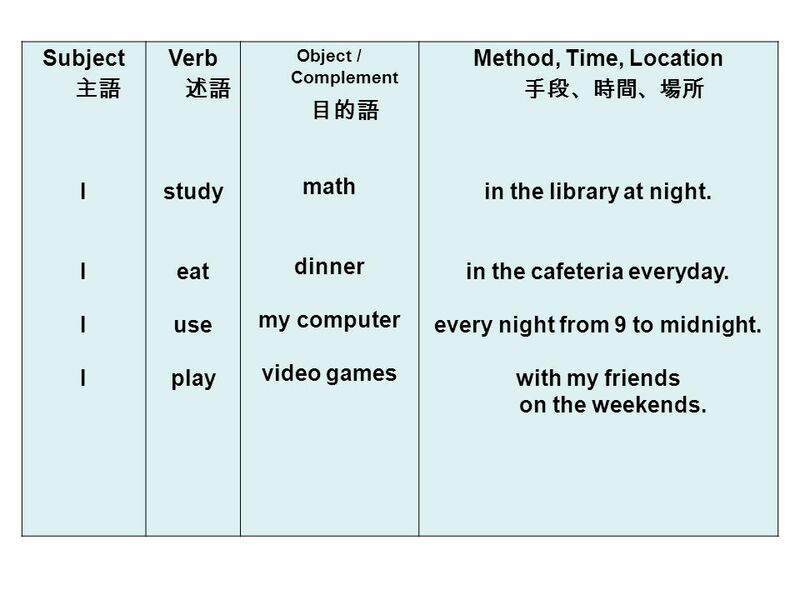 26 Subject I Verb study eat use play Object / Complement math dinner my computer video games Method, Time, Location in the library at night. in the cafeteria everyday. every night from 9 to midnight. with my friends on the weekends. 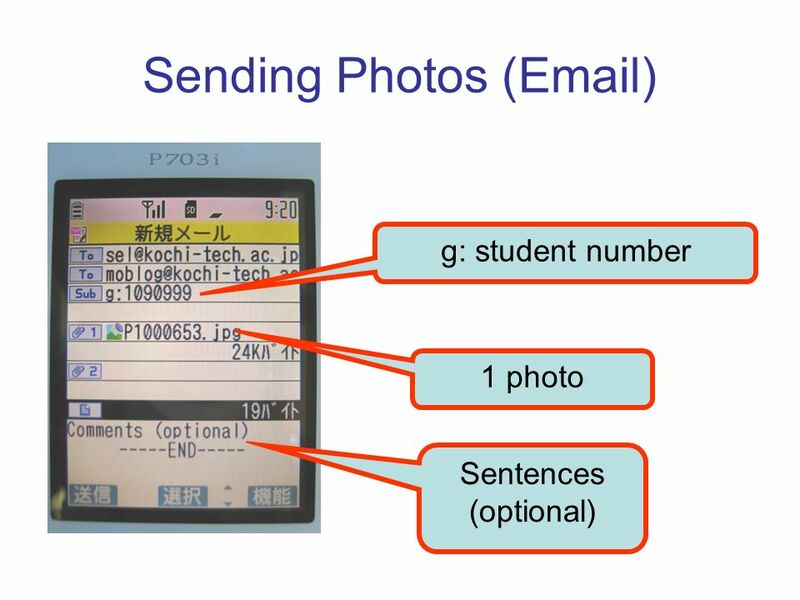 28 Check English with teacher! Breakfast! Most mornings I eat home-baked bread and some yogurt that I make myself. My own cooking is healthy. I do not worry about unhealthy chemicals in the food and I can save packaging! My commute! 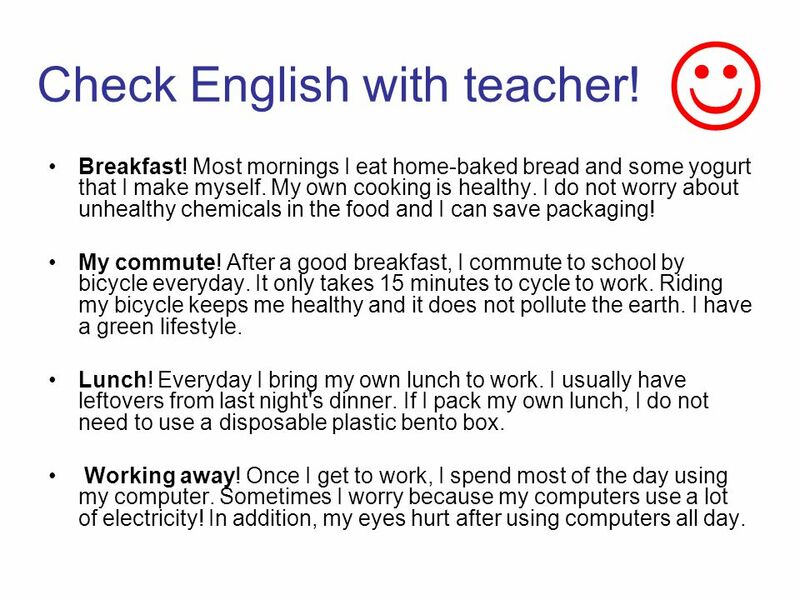 After a good breakfast, I commute to school by bicycle everyday. 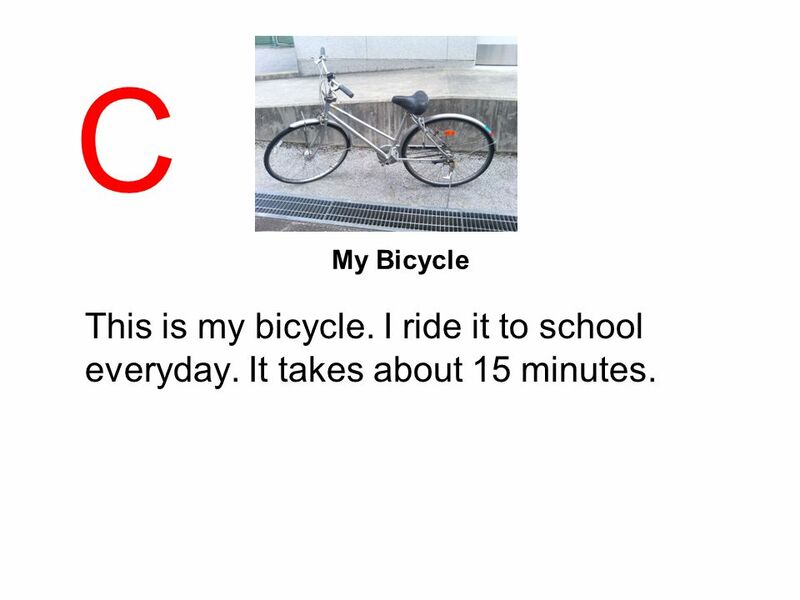 It only takes 15 minutes to cycle to work. 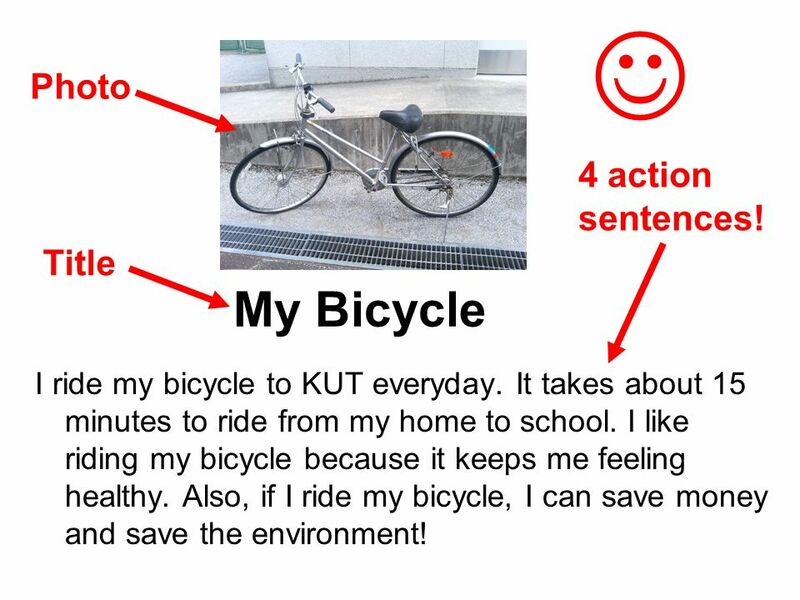 Riding my bicycle keeps me healthy and it does not pollute the earth. I have a green lifestyle. Lunch! Everyday I bring my own lunch to work. I usually have leftovers from last night's dinner. If I pack my own lunch, I do not need to use a disposable plastic bento box. Working away! Once I get to work, I spend most of the day using my computer. Sometimes I worry because my computers use a lot of electricity! 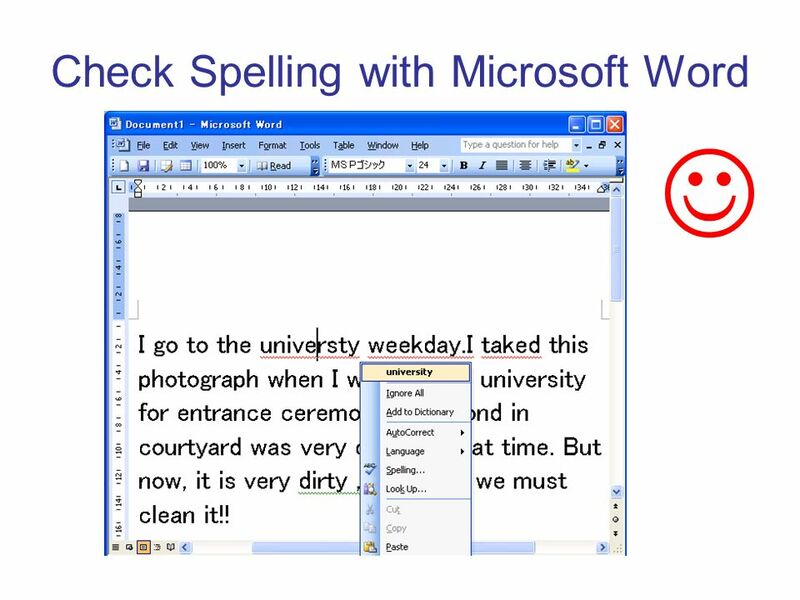 In addition, my eyes hurt after using computers all day. 35 Asking for more information Who do you................ with? 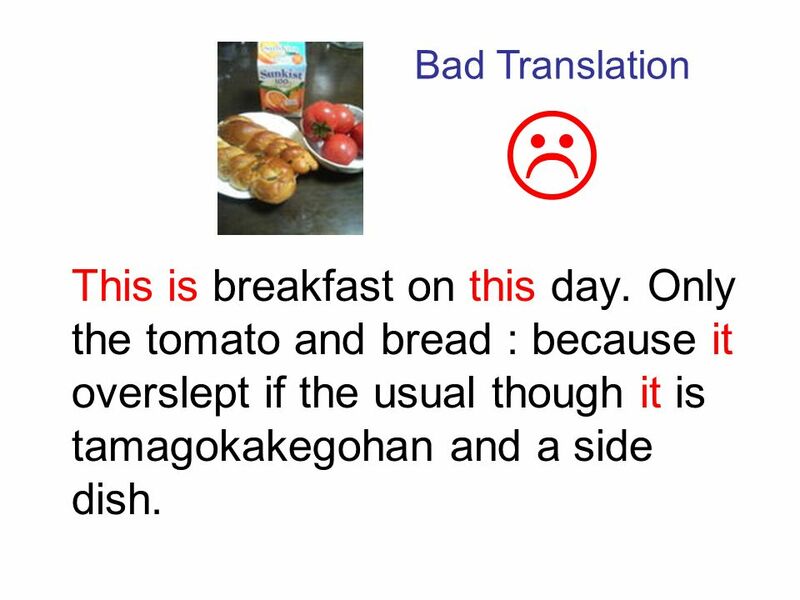 What kind of.............. do you (like) (have)? Where do you.................................? When do you...................................? Why do you......................................? How often do you................................? 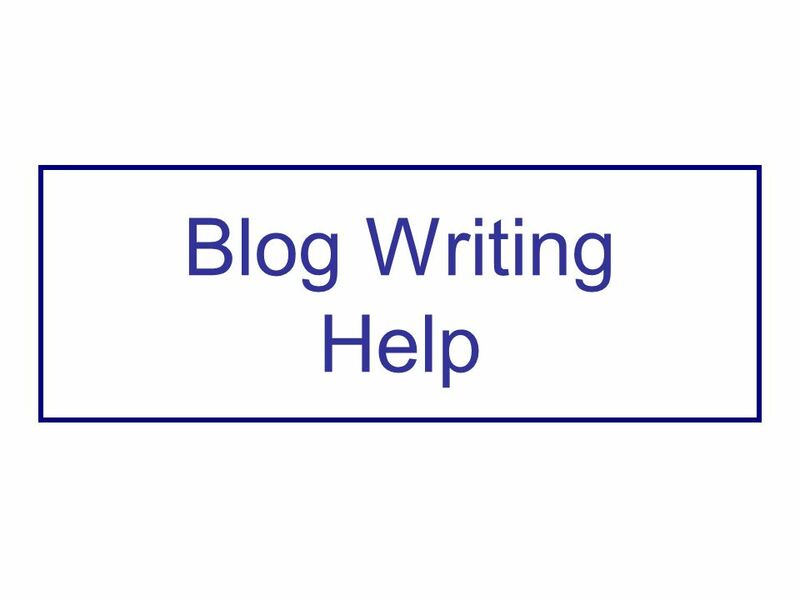 How (much) (many).............. do you have? 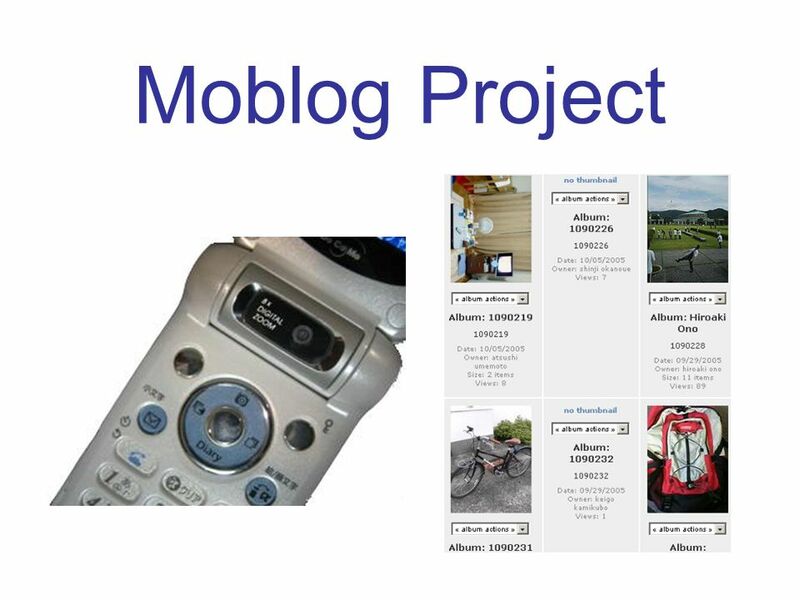 Download ppt "Moblog Project. 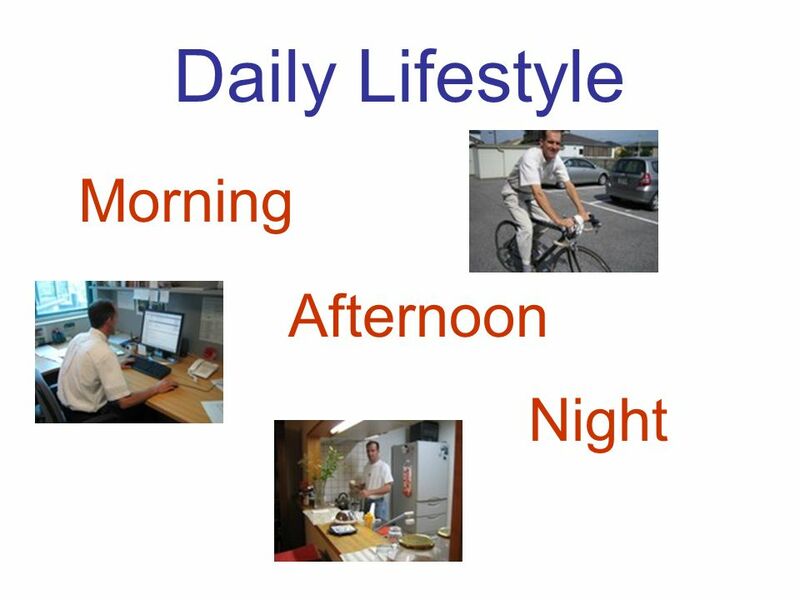 Daily Lifestyle Morning Afternoon Night." 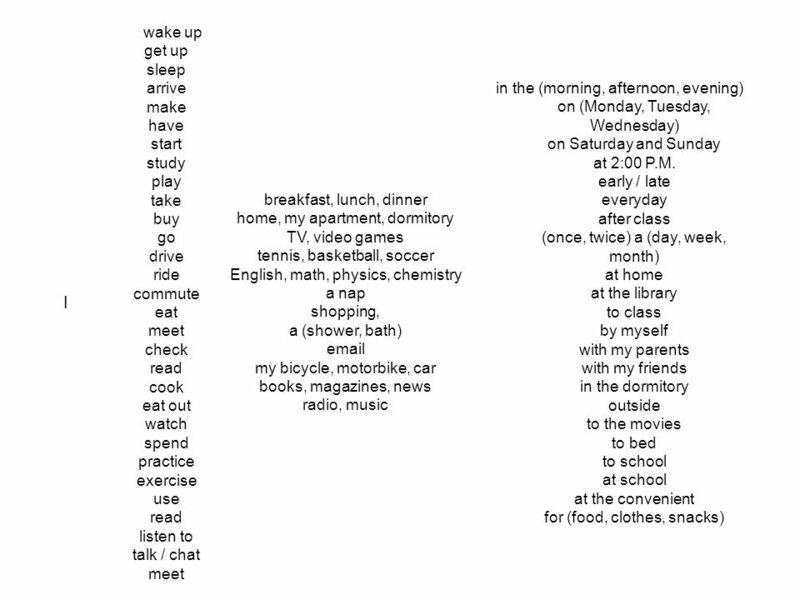 A Life in a Day Made by rafay iqbal. 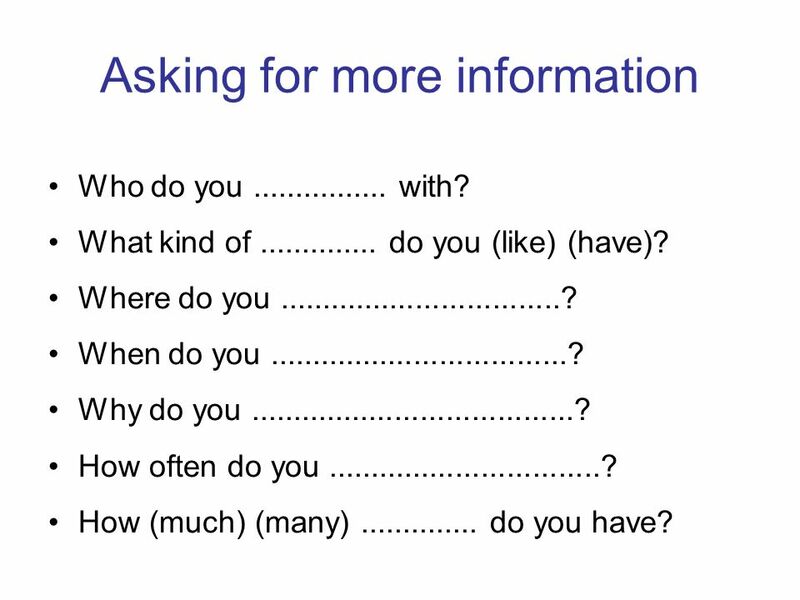 BANK OF QUESTIONS. What is your name? Where are you from? I get up early and I have breakfast. I get dressed and go to work by motorbike. I get up early and I have breakfast. I get dressed and go to work by motorbike.